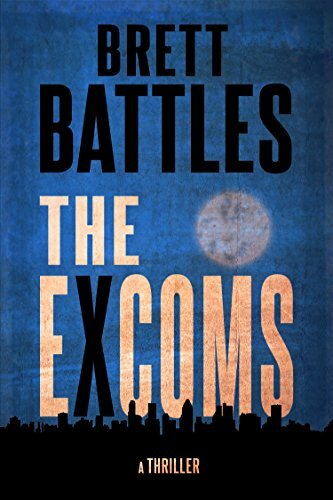 I’ve grown fond of Brett Battles’ Jonathan Quinn novels, but I resisted trying his spin-off series, which begins with The Excoms. I noticed in the descriptions that it involves a special operations team made up mostly of women, and I feared it would be a “you go, girl” fest. “Excoms” is short for “Excommunicated.” The members of the team are experts in various covert activities (legal and illegal) such as assassination, hacking, and driving. Each of them has suffered some bad luck, and is now in danger of death or imprisonment. A mysterious group called The Committee rescues each of them, brings them together, and offers them well-paying work doing what they do best for good causes. Their first job is the rescue of a group of children from a gang of kidnappers. The story is tightly plotted, the action and dialogue are crisp, and the story is compelling. I just didn’t like the basic concept. 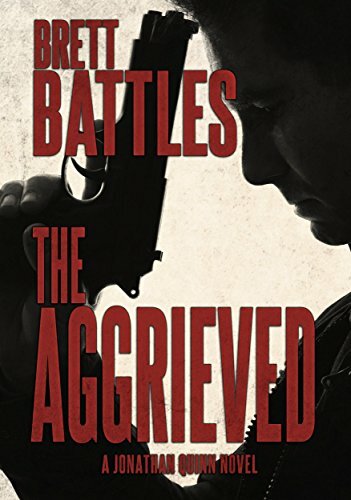 I don’t know if author Battles is doing penance for some misogynist transgression, but he has produced a very stereotyped story – stereotyped in the contemporary manner. There are five members on the team – three women and two men. Each of the women is smart, competent, deadly, and efficient. Of the men, one is a good driver, but shows no particular flair. The other is a narcissistic womanizer who can’t follow instructions and messes up repeatedly. This “girls rule; boys drool” approach annoyed me a lot. So although the book was well-crafted, I won’t be following the series. I’ll probably continue with the Jonathan Quinn books, though. Cautions for mature stuff, but not too bad. It might be noted that there’s a possible homage to Chesterton here, as the members of The Committee are designated, not by name, but by a day of the week. 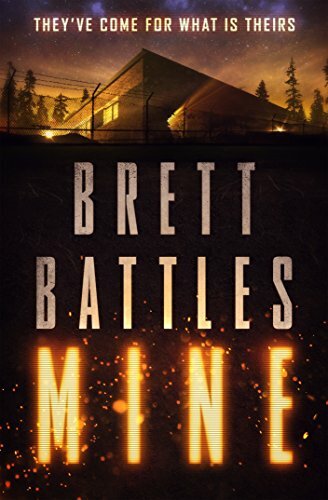 When I discovered there was a new entry in Brett Battles’ enjoyable Jonathan Quinn series, it was the work of but a moment for me to download it for my Kindle. The Fractured is an enjoyable thriller, like all its predecessors. When The Fractured begins, our hero, Jonathan Quinn, and his wife Orlando are still recovering from the disaster that occurred in the last book – where an important member of their team died. Not only did they lose that person, but there was a rupture with Quinn’s old protégé, Nate, who has vanished. But the bills need to be paid, and they’re delighted when they’re contacted by an old friend, who is trying to revitalize the secret semi-government office that used to employ them as “cleaners” (removers of evidence after “wet ops”). There’s a chance to get inside the compound of a white nationalist militia. This job gets done successfully. But there’s a bonus. What they find in the compound gives them a chance to nail the money man who’s been funding the group. And not only can they get him, but they might also get a mysterious international arms merchant, a man who keeps his identity so secret that few have ever seen his face. But one of the few who has is the missing Nate. If they can locate Nate and persuade him to cooperate, they may be able to prevent an apocalyptic disaster in the United States. The Jonathan Quinn novels are neither deep nor fancy. But they’re fun and they move fast. Recommended. Cautions for language and violence, but not as bad as many. 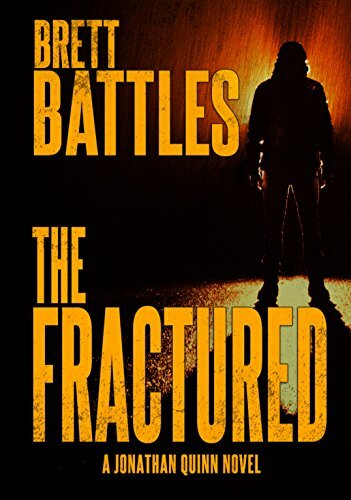 I’ve become a fan of thriller writer Brett Battles, especially his Jonathan Quinn novels. I get the impression that Little Girl Gone is an early novel, penned before he really found his narrative feet. It’s OK, but was not a grabber, for me. Logan Harper works as a mechanic in his father’s garage, in his home town in California. Not so long ago he was a mercenary, working for a Blackwater-style military contracting company. But one awful day things went very wrong, and Logan’s best friend got killed. Logan was made the scapegoat. In the bad dreams that have tormented him ever since, he also blames himself. So he went home to lick his wounds. One morning on his way to work he stops at the café run by “Tooney,” his father’s Burmese immigrant friend. Logan intervenes just in time to save Tooney from being murdered – but Tooney insists they mustn’t call the police. Eventually he learns the truth – Tooney’s granddaughter, a student, has been kidnapped by agents of the Myanmar government, who want to stop the girl’s mother from political activities. At his father’s request, Logan promises to bring the girl back. He doesn’t know at that point that this will involve traveling to Thailand and connecting with underground forces. But he’s made a promise, and he also needs to prove something to himself. 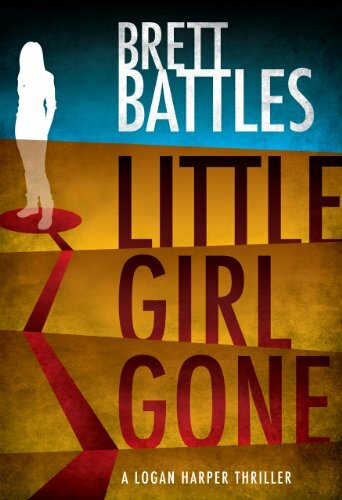 There was nothing really wrong about Little Girl Gone, but I didn’t find it compelling. The plot seemed artificial to me, and the characters were pretty black and white. Author Battles can do better, and has proved it since. But it’s not a bad book. It’s lightweight. I can recommend it in a mild-mannered way. I don’t recall any seriously bad language or subject matter inappropriate for, say, teenage readers. I’ve been following Brett Battles’ Jonathan Quinn series for some time now. I’m not generally a reader of espionage fiction, but these books deal with a different kind of character, a guy whose job tends to be a throw-away in other books – the Cleaner. The cleaner comes in after a hit has been carried out, and removes the bodies and all the evidence. Jonathan Quinn is the best at his job, and his skills make him more than equal to various challenges he meets that take him outside the limits of his job description. In The Aggrieved, Jonathan and his team face a new kind of challenge. In earlier outings they generally ended up trying to rescue somebody. This time, due an incident at the end of the last book (I’ll write carefully, so as not to drop spoilers), they’re out for vengeance. An important member of the team has been killed, and Quinn and company are singlemindedly pursuing revenge. Meanwhile their own relationships are strained, as guilt generates resentment among friends and even family. This was not my favorite installment in the Jonathan Quinn saga. I think that was largely due to the revenge motivation, although the author makes it clear that the killer they’re pursuing deserves no mercy. The book seemed to me essentially a sequence of planned operations, some more successful than others, without a lot of human interaction – and most of what there was, was unpleasant. I did enjoy a fairly new character named Jar, a female Asian computer geek somewhere on the autism spectrum. She was kind of fun. If you’ve been following the books you’ll want to read The Aggrieved, but don’t start with this one. Cautions for the usual. I’m fond of Brett Battles’ Jonathan Quinn novels, so I bought Mine. 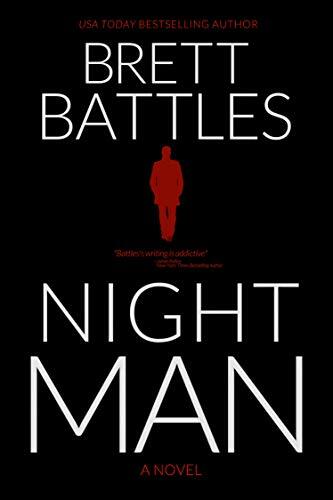 It wasn’t what I expected – I think of Battles as a thriller writer. But this is a science fiction/coming of age story. Nevertheless, I read it to the end and enjoyed it. One night years ago, seven teenagers took an illicit forest hike, away from their summer camp. Only three came back, and they were changed. Joel and Leah were suddenly off-the-charts intelligent, sucking up knowledge like vacuum cleaners. They also became stronger and faster than normal people. The third camper, Mike – well, he adjusted less well than the others, who made efforts to disguise their unusual gifts. Each of them forgot most of the events of that awful night, even one another’s names. But Leah, now a young woman, discovers a clue, which leads her, eventually, to Joel. But Joel doesn’t want to remember what happened. He wants to drop out of sight and live in obscurity. They gradually realize, however, that they’re not alone in their own heads – someone or something is using them. And they finally agree that the only way to get their freedom is to return to the place where it all started. Mine was tightly written, well charactered, and compelling. I recommend it. I don’t recall much in the way of objectionable material. My only quibble is an epilogue the author felt it necessary to include. Such epilogues show up again and again in SF stories, and they’re all the same and totally predictable. I wish he’d done something else. But that’s a small thing. Among my recently read books is Brett Battles latest Jonathan Quinn novel, The Buried. I’ve been enjoying this series through the previous eight books, and this one was just as good, or better, than its predecessors. As I’ve explained before, Jonathan Quinn, the hero, is a “cleaner.” He works for a private contractor that works with intelligence agencies, removing bodies and cleaning up sites where somebody has been liquidated. He’s not supposed to get into the action himself, but of course he often does, or there’d be no novels. In The Buried, he comes to remove a body from a suburban American home, but about the time he shows up, the government assassin he’s supposed to clean up for discovers a secret chamber underneath the late target’s house. In the chamber they find cells containing four women, one of them dead. Calling his boss for instructions, Quinn is instructed to call the police and leave, but to take one of the prisoners with him. It turns out this woman possesses a very important secret, and ruthless agents from around the world are competing to find her and extract that secret, by any means necessary. The rest of the story is strong on chases, one way and the other. The Buried is great fun, especially because of a sort of running joke in the plot. Quinn’s partner (and wife) Orlando is extremely pregnant during this story, but can’t resist trying to participate in the action as if she were not. It’s her nature, as regular readers will recognize. Her continuing denial is not only funny, but contributes to the rising plot tension. Recommended. Not too much objectionable stuff.